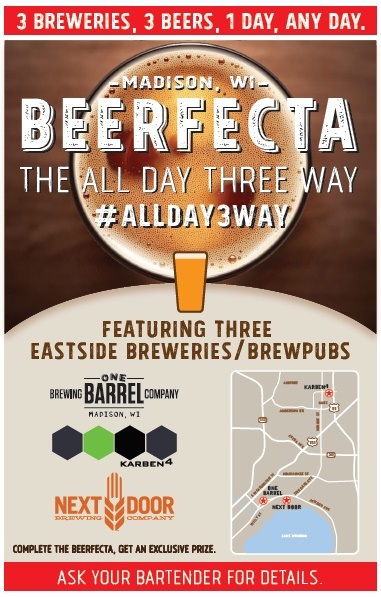 ALLDAY3WAY - Next Door Brewing Co.
Next Door Brewing, One Barrel & Karben4 are your destination for the ALLDAY3WAY. Ask for a punch card at any of the 3 locations when you order your craft beer. Go to all 3 breweries in one day and get your card punched at each place. Turn in your card at any brewery when completed and receive an exclusive gift* for free. *Limit 1 gift per guest. Some exclusions and rules may apply, subject to change without notice, all locations reserve the right to stop promotion at any time, while supplies last.